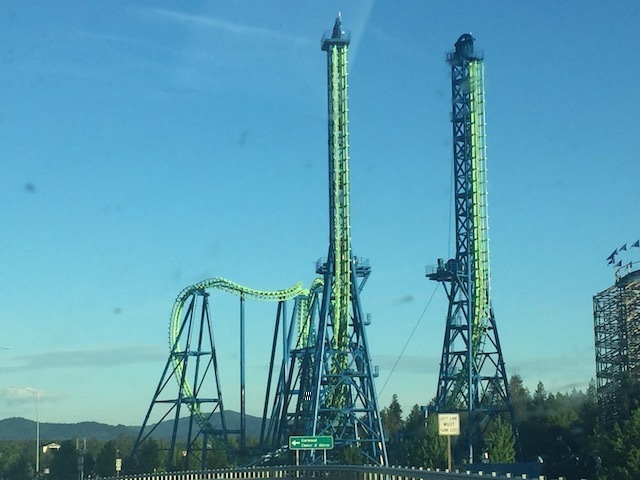 We're here at Silverwood. 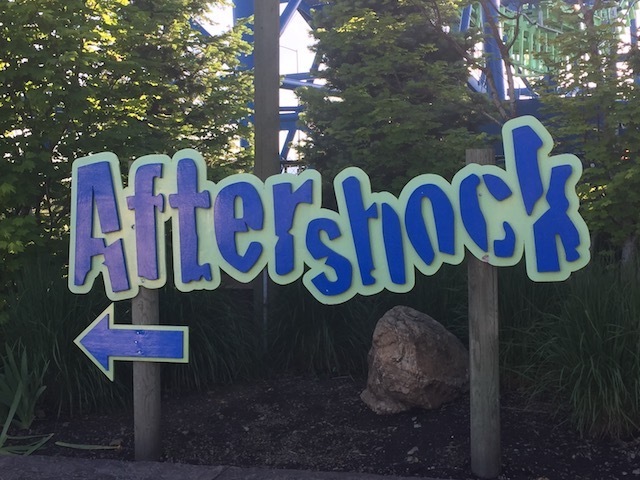 Today, we're checking out Aftershock. 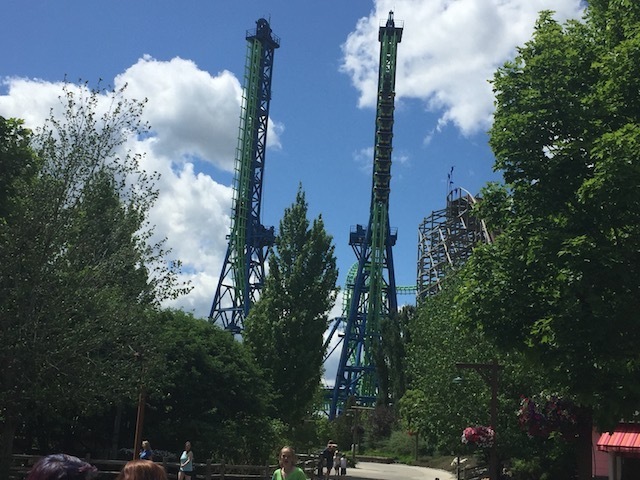 The parks Giant Inverted Boomerang, and these rides are freaking awesome! After getting in the funky V-shaped trains, fastening the orange seatbelt and pulling down the shoulder harness, you are released. As you are climbing up the lifthill, you start to slide out of you're seat. For the first time, your life is dependent on that shoulder harness (At least it feels like the first time). Because if that shoulder harness fails, you'll go SPLAT! Right onto the ground. After you've been hanging there, you drop. With the ground just flying towards our faces, you just have to enjoy the rush as you swoop down and laugh at the people waiting in line. 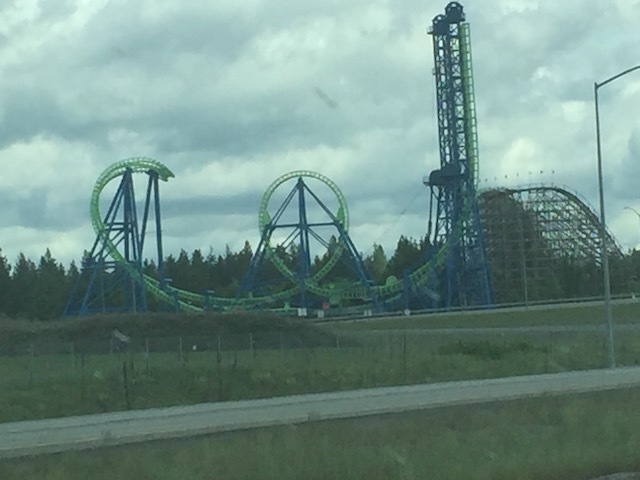 After your brief second in the station, you swoop up into a giant cobra roll. 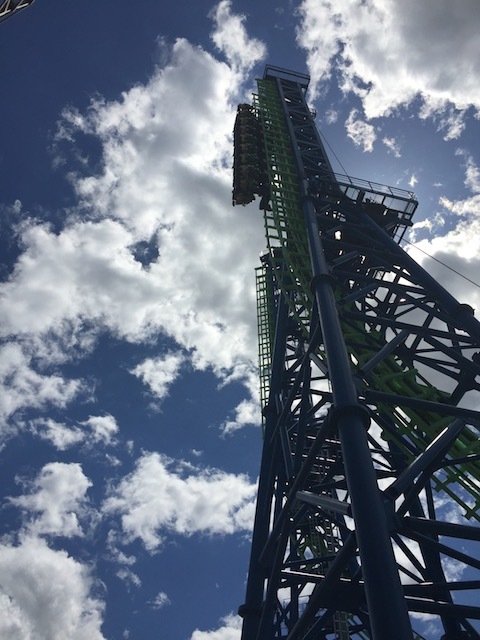 You go head over heels twice and then soar into a magnificent vertical loop. 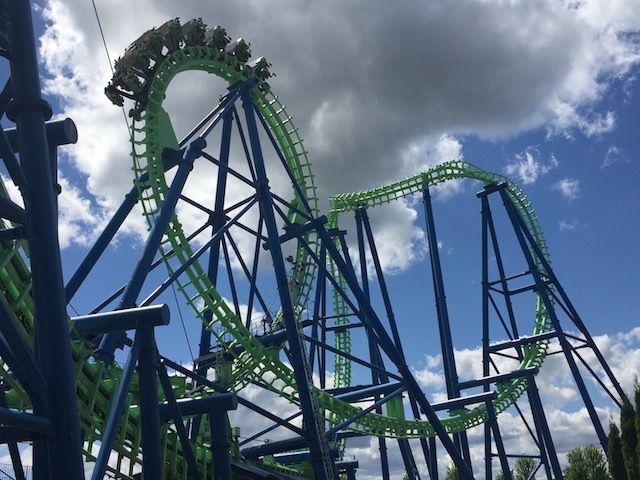 The inversions on this boomerang are much smoother than on most Boomerangs. And then you fly up the second spike, you roar 3/4 of the way up when you suddenly catch a cable. As you slowly climb to your doom, you can get a decent view of Idaho, then you drop. As the sky gets smaller and smaller, we fall and fall until we swoop down and do it all BACKWARDS!!! 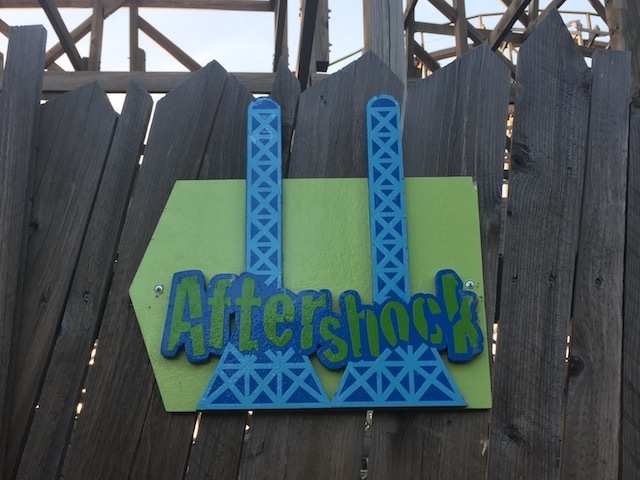 After tackling the loop and cobra roll backwards, you fly back up the first spike, and while it appears we're going again, the cable car brings us back to earth. As far as I'm concenered, these are BY FAR the best type of Boomerang you can get. 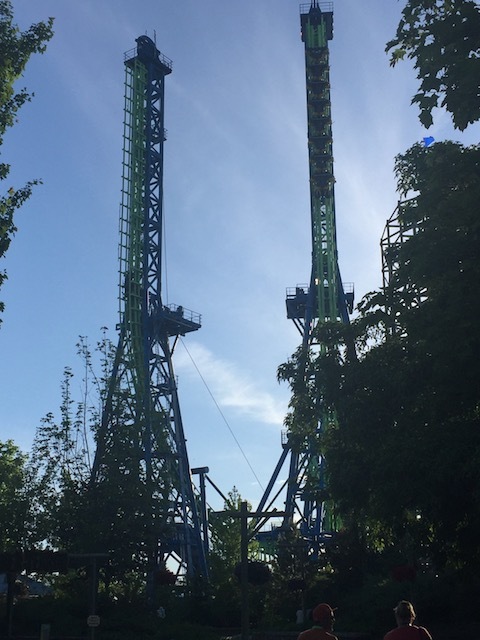 The Vertical Lifts are just unbeliveably awsome. 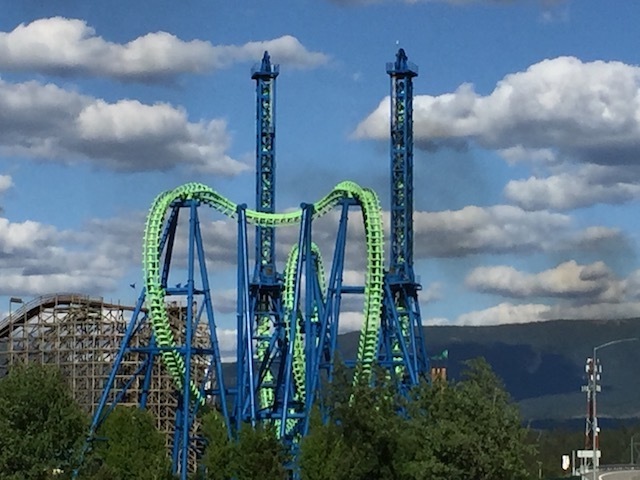 I HIGHLY recommend riding this while you're at Silverwood.